Phil Taylor Net Worth, When & Why Did He Retire, What is He Up To Now? 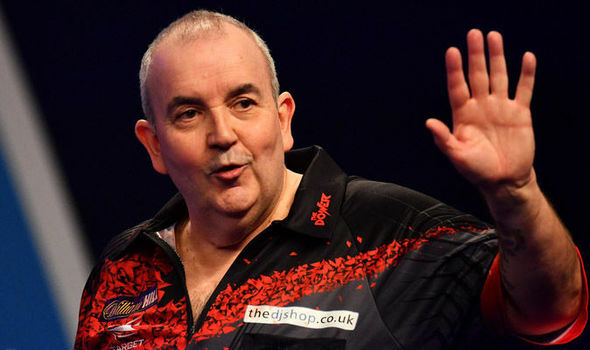 Phil Taylor Net Worth, When and Why Did He Retire, What is He Up To Now? Phil Taylor, who is also known as ‘The Power’, is considered one of the best dart players in history. Before his retirement from professional darts, he made one of the most outstanding career statistics in the sports. His record of World Championships came to 16 titles and he won over 200 professional tournaments. He is a four-time winner of the PDC (Professional Darts Corporation title) and also a two-time nominee for the BBC Sports Personality of the Year Award in 2006 as well as 2010. In the Premier League Darts finals against James Wade in 2010, Phil made the record as the first to hit two nine-darters in a single match. It goes without saying that he rightfully earned his ranking as #1 in the World. From 1988 to 1993, he was very active as a player in the BDO (British Darts Organization), he later broke away with other professionals to form the World Darts Council (WDO) which was later modified to Professional Darts Corporation (PDC). He expanded his presence to the media with few guest appearances in some shows likeThe Gadget Show, Bullseye as well as Sports Life Stories. Phil Taylor was born in Burslem, Stroke-on-Trent England on the 13th of August 1960 to Elizabeth and Douglas Taylor. Phil is a high school dropout, having left school at the age of 16 to go in search of a means of livelihood. His first job was at a sheet metal factory where he earned a salary of $52 per week making ceramic handles for toilet roll. The job was not paying enough to support him and his wife Yvonne and so, he started looking for ways to supplement his earnings. Although Phil loved playing darts in his formative years, he didn’t see it as a means of livelihood until 1986 when he and his wife relocated to Burslem – a terraced house very close to the pub – Crafty Cockney, owned by Eric Bristow – a professional darts player. After a while, his wife presented him with a set of darts as a birthday present and he commenced playing as an amateur at Bristow’s pub. His skills rapidly improved and with the financial support of Eric Bristow who sponsored him with $10,000 on a loan, he gave up his job and started to establish a career as a professional darts player. Although his debut professional season proved to be a disaster, the following year, he bagged a victory at the Canadian Open against Bob Anderson who was the World Championship holder at that time. After a couple of years, he qualified for his debut World Championship, he was an unseeded outsider with the odds 125 -1 but defeated every opponent as well as the odds to win his first title. He bagged the World Masters in the same year and became the best player in the World Championship again in 1992. Talking about his personal life, Phil Taylor was married to a woman named Yvonne from the early 1980s till 2011, when their union ended in divorce. Their marriage lasted for over two decades, they have four children – Kelly, Lisa, Chris and Natalie. Phil also has one grandchild from one of his children. According to several authoritative sources, the former darts player’s net worth is estimated at a handsome $10 million. A substantial portion of his wealth is believed to have come from his successful years as a professional darts player. Who knew playing darts could be this profitable? When and Why Did Phil Taylor Retire? Phil Taylor made the conscious decision to walk away from the game despite the fact that he was still in fine form at the age of 57. He confirmed his retirement prior to the World Championship of 2018. According to Phil, his age was a huge factor and he was beginning to find it more difficult to put in his normal hours in the practice room. He gave a second reason for his retirement, which is that he was no longer comfortable under the limelight and wanted some peace and quiet. The World Champion will probably never return to the oche again, rather he is set to work with Sky Sports in his capacity as a commentator for darts tournaments. Phil also works as a steady content contributor to Darts World magazine. He believes that his new job will give him a bit of rest from the public eye because, as previously mentioned, he is tired of having his personal life under the watch of the press and the public.